To dance is to be out of yourself. Larger, more beautiful, more powerful…This is power, it is glory on earth and it is yours for the taking. The Minor in Dance is an exciting and rapidly growing program within the Department of Theatre. This program is open to all interested students at Auburn University and accommodates everyone from the beginner who wants to experience dance for the first time to the experienced dancer who wants to continue training throughout their college career. Courses are based in modern dance with emphasis on technique, theory, improvisation, composition, dance history, anatomy for dancers, and dance conditioning. Dance labs in ballet, jazz, and tap are available to supplement the minor core. Throughout the year, there are many opportunities for students to participate in dance performances or to showcase their original choreography. 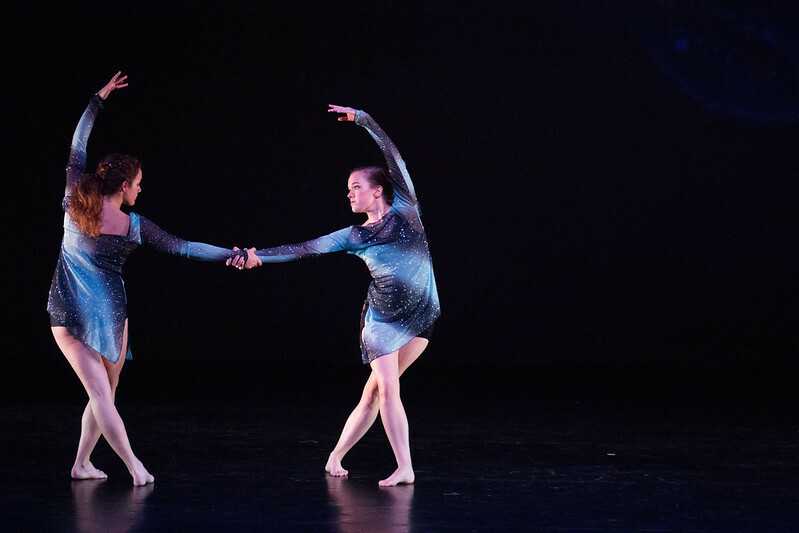 These opportunities include Auburn University Theatre's annual dance concert, site-specific projects in collaboration with the Jule Collins Smith Museum, the Alabama Dance Festival, and the American College Dance Association South Region Conference. Dance minors also have the opportunity to learn from guest artists through master classes and choreography set specifically for Auburn students. Past guest artists have included Bill Evans, Karola Lüttringhaus, Drika Overton, Duane Lee Holland, Peter Kalivas, Jeannie Hill, George Staib, Pilobolus, River North Dance Chicago, and the Paul Taylor Company. The Minor in Dance consists of 15 credits, including courses in beginning, intermediate, and advanced technique. See a description of the dance minor curriculum on AU Bulletin. Any interested student wishing to declare the minor should begin by making an appointment in the Department of Theatre and filling out a minor declaration form. For more information, please contact Professor Adrienne Wilson at amp0001@auburn.edu.